Buddhism in Myanmar is predominantly of the Theravada tradition or the southern school. About 89% of Myanmar practices Buddhism. Adherents are most likely found among the dominant ethnic Bamar (or Burmans), Shan, Rakhine (Arakanese), Mon, Karen, and Chinese who are well integrated into Burmese society. Among ethnic Bamar, Theravada Buddhism is practised often in conjunction with nat worship. Monks, collectively known as the Sangha are venerated members of Burmese society. The importance of Buddhism in the history of Myanmar is evident from a landscape dominated by pagodas which is why the country is often called "the land of pagodas." The Shwedagon Pagoda in Yangon is steeped in myth and legend, and represents the people's faith who have worshipped there for generations. Every village in Myanmar has a pagoda and a monastery, the traditional places for worship and education. The history of Buddhism in Myanmar extends nearly a millennium. The Sasana Vamsa, written by Pinyasami in the 1800s, summarises much of the history of Buddhism in Myanmar. During the reign of King Anawrahta Theravada Buddhism became prevalent among the Burmese. Prior to his rule existed a form of Mahayana Buddhism, known as Ari Buddhism. It included the worship of Bodhisatta and nagas, and corrupt monks. Anawrahta was converted by Shin Arahan, a monk from Thaton to Theravada Buddhism. In 1057, Anawrahta sent an army to conquer the Mon city of Thaton in order to obtain theTipitaka Buddhist canon. Mon culture, from that point, came to be largely assimilated into Bamar culture in Bagan. Despite attempts at reform, certain features of Ari Buddhism and traditional nat worship continued. Succeeding kings of Bagan continued to build such a large number of monuments, temples, and pagodas in order to honour Buddhist beliefs and tenets that Bagan soon became a major archaeological site. Burmese rule at Bagan continued until the invasion of the Mongols in 1287. The Shan, meanwhile, established themselves as rulers throughout the region now known as Myanmar. Thihathu, a Shan king, established rule in Bagan, by patronising and building many monasteries and pagodas. Bhikkus continued to be influential, particularly in Burmese literature and politics. The Mon kingdoms, often ruled by Shan chieftains, fostered Theravada Buddhism in the 1300s. Wareru, who became king of Mottama (a Mon city kingdom), patronised Buddhism, and established a code of law (Dhammathat) compiled by Buddhist monks. King Dhammazedi, formerly a Mon monk, established rule in the late 1400s at Innwa and unified the Sangha in Mon territories. He also standardised ordination of monks set out in the Kalyani Inscriptions. Dhammazedi moved the capital back to Hanthawaddy (Bago). His mother-in-law Queen Shin Sawbu of Pegu was also a great patron of Buddhism. She is credited for expanding and gilding the Shwedagon Pagoda giving her own weight in gold. The Bamar, who had fled to Taungoo before the invading Shan, established a kingdom there under the reigns of Tabinshwehti and Bayinnaung who conquered and unified most of modern Myanmar. These monarchs also embraced Mon culture and patronised Theravada Buddhism. In the reigns of succeeding kings, the Taungoo kingdom became increasingly volatile and was overthrown by the Mon. In the mid- 1700s, King Alaungpaya defeated the Mon, expanded the Bamar kingdoms, and established the Konbaung dynasty. Under the rule of King Bodawpaya, a son of Alaungpaya, a unified sect of monks (Thudhamma) was created within the kingdom. Bodawpaya restored ties with Sri Lanka started by Anawrahta, allowing for mutual influence in religious affairs. In the reigns of the Konbaung kings that followed, both secular and religious literary works were created. King Mindon Min moved his capital to Mandalay. After Lower Burma had been conquered by the British, Christianity began to gain acceptance. Many monks from Lower Burma had resettled in Mandalay, but by decree of Mindon Min, they returned to serve the Buddhist laypeople. However, schisms arose among the Sangha, which were resolved during the Fifth Buddhist Synod, held in Mandalay in 1871. From 1860 to 1868, the Tipitaka was engraved on 729 marble slabs and assembled in the Kuthodaw Pagoda. In 1871, a new hti (the gold umbrella that crowns a stupa) encrusted with jewels from the crown was also donated by Mindon Min for the Shwedagon now in British Burma. During the British administration of Lower and Upper Burma, also known as Burma Proper, government policies were secular which meant monks were not protected by law. Nor was Buddhism patronised by the colonial government. This resulted in tensions between the colonised Buddhists and their European rulers. There was much opposition to the efforts by Christian missionaries to convert the Burmese people, Bamar, Shan, Mon, Rakhine and plains Karen, with one exception - the hill tribes. Today, Christianity is most commonly practised by the Chin, Kachin, and the Kayin. Notwithstanding traditional avoidance of political activity, monks often participated in politics and in the struggle for independence. 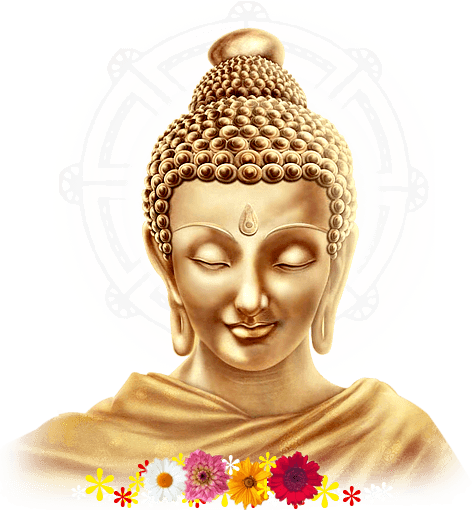 Since 1948 when the country gained its independence from Great Britain, both civil and military governments have supported Theravada Buddhism. The 1947 Constitution states, "The State recognizes the special position of Buddhism as the faith professed by the great majority of the citizens of the Union." The Ministry of Religious Affairs, created in 1948, was responsible for continuing Buddhism in Myanmar. In 1954, the prime minister, U Nu, convened the Sixth Buddhist Synod in Rangoon (Yangon), which was attended by 2,500 monks, and the World Buddhist University was established. During the military rule of Ne Win (1962-1988), he attempted to reform Burma under the Burmese Way to Socialism which contained elements of Buddhism. In the 8888 Uprising, many monks participated and were killed by Tatmadaw soldiers. The current military regime, the State Peace and Development Council (SPDC) patronises Buddhism, although persecution of persons of other religions, namely Islam and Christianity, continues.